TWO SESSIONS MARCH 15, 2009: See Bios Below. 4:00 to 5:00: Nina Wells, Kingdom Publishing Group, Inc.
Saturday, November 14 (2nd Saturday) 4th Annual Family Dinner. No meeting in December. The October conference has yet to be finalized, but set aside Friday evening the 16th and Saturday the 17th. We’ll fill in the details in the weeks to come. Be prepared by being prayed up! DUES: Annual dues are $25. Visitors are welcomed but are asked to pay dues at the second meeting they attend. 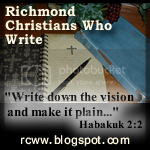 Pay at the march meeting or mailed to: Richmond Christians Who Write, 12114 Walnut Hill Dr., Rockville, VA 23146. REFRESHMENTS:This is a vital time for networking. If we save time between 2:15 and 2:45 it will be added to our refreshment and fellowship time. Make a new writer friend. Talk to people you do not know. We look forward to seeing you March 15th. Bring a friend and help them develop their writing skills and career. Jennifer Erin Valent is the 2007 winner of the Christian Writers Guild’s Operation First Novel contest. 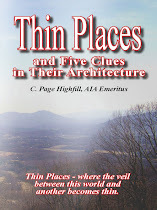 A lifelong resident of the South, her surroundings help to color the scenes and characters she writes. When not penning novels, she works as a nanny and freelance writer in her hometown of Richmond, Virginia. 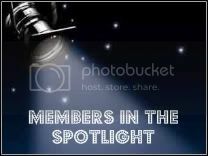 Nina Wells: Kingdom Publishing Group, Inc. is purposed to educate, inspire, and motivate Christians to publish, produce and promote work that exemplifies and glorifies God. We believe that the creative arts are gifts from God, "The Creator," and as such, we have been called to serve as a conduit to assist you in getting your God inspired work out to the world. Kingdom Publishing Group, Inc. consists of a dynamic network of individuals who engage, and offer expertise, in the process of proclaiming the Gospel. As such, we encourage, support, and celebrate all who offer their gift..., first to God, and, in turn, to others. We offer a full range of book publishing, music production, and marketing & promotional services, and a host of outreach and community service initiatives that serve to support the arts. In fulfilling this vision, we have become the area’s leading publisher of Christian books; producer of Christian music; and promoter of inspirational visual and performing arts. This year's conference is in the form of a retreat.